The Composers Of Doctor Who: CAREY BLYTON | Warped Factor - Words in the Key of Geek. Step into the music room once more as we look into the work of a man who produced a trio of incidental scores for Doctor Who- the last of them being Revenge Of The Cybermen for the Fourth Doctor. 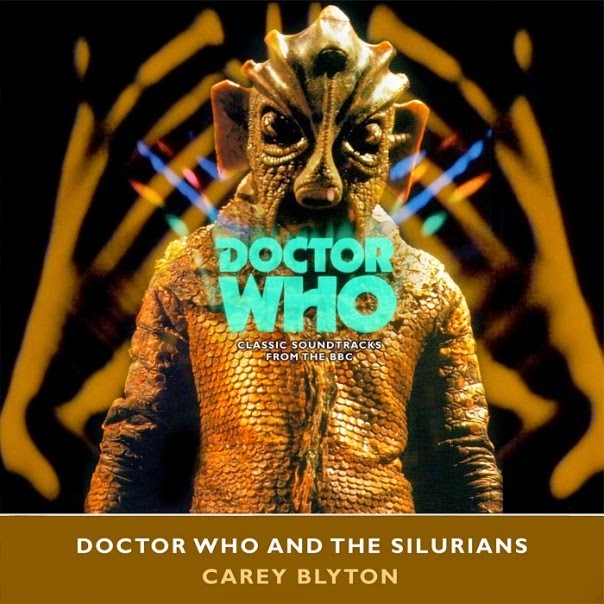 Born on March 14,1932 in Kent, Carey Blyton's first commission for the series had come with the music for Doctor Who & The Silurians five years earlier. And yes, he was related to Enid- she was his aunt! Amazingly he had only begun piano lessons in 1948 at the age of sixteen while recovering from a nasty bout of polio, science having been his first love, as attested to by this selection from the ' biography' section of a website devoted to him. "His natural bent for science throughout his school days took him to University College, London in 1950 as an undergraduate in the Faculty of Natural Sciences, where he began studying for a special degree in Zoology. After only one year there, however, his increasing interest in music (he was composing prolifically by this time) forced a decision upon him." Three years later he devoted himself to matters musical as a student at Trinity College of Music, studying everything from music history & orchestration to piano & viola, a marked turnaround for a man who had once ''showed not merely an apathy towards music but a marked hostility to it''! By 1957 he had graduated & been awarded a ten-month scholarship, during which he relocated to Denmark to study with composer Jorgen Jersild at Copenhagen's Royal Danish Academy Of Music before returning to England the following year. Moving into the Sixties, he became a Professor of Harmony, Counterpoint & Orchestration at London's Trinity College Of Music from 1963-73 & then took up a similar position as Visiting Professor of Composition For Film, Television & Radio at the Guildhall School of Music & Drama. "The article concerning Dr Robert Simpson’s pamphlet,The Proms and Natural Justice (The Listener, 10th September), makes most interesting reading. Mr Robert Ponsonby’s own contribution, A moral issue?, is of course of particular interest to composers. However, it contains some highly contestable points. Mr Ponsonby says that the BBC Music Division is “deeply committed to the support of living composers”, yet he omits to add that they must write the ‘right’ sort of music for him and his colleagues; namely, music of, and derived from, the Second Viennese School (Schoenberg, Berg and Webern). In 1959, when William Glock became Controller of Music, with Hans Keller as his Chief Assistant, New Music, the BBC Music Division began a rigorous championing of the more extreme forms of avant-garde music to the virtual exclusion of any new music which had an immediate appeal. (“Schoenberg is the One, True God, and Pierre Boulez is His Prophet” became the faith that all had to live by, whether composer or BBC producer.) Sadly, this policy has continued under Mr Ponsonby, Sir William Glock’s successor. Mr Ponsonby also states in his article: “known public taste must be given weight” and, later: “we can look after Smith, Brown and Jones in other contexts on Radio 3, while vigilantly observing public taste.” The record of the Music Division over the past 20 years quite simply does not bear out this no doubt sincere but inaccurate claim. The users of the broadcast music programmes, viz. the music-lovers, have never been consulted as to what they would like to hear; BBC music producers ‘do their own thing’ – frequently very way-out and of very limited interest and appeal to listeners; British composers who have had works extremely well received abroad have been ignored, the works rejected for broadcasting; and – in the words of one distinguished soloist – “Der Englische Rundfunk” has reigned supreme, unchallenged until now. Neither our own composers nor our executant musicians can do anything to improve the situation. But Mr Ponsonby can. He has it in his power to start to undo the great harm done to our musical culture over the past 20 years by the Glock–Keller regime, which favoured – and still favours, in its continuing influence – music of Continental origin and music written by a small faction of British composers thoroughly indoctrinated in this ‘foreign musical policy’ to the great detriment of the vast majority of our own composers. Abstract arguments are strengthened by concrete examples. Let me give just one example from my own career, a typical example that is by no means unique, and one which very many of my colleagues would instantly recognise. When my one-act opera, The Girl from Nogami, was given its European première in Antwerp in 1980, it collected very many excellent reviews: “a jewel in sound” (De Morgen); “a wonderful score … overflows with melody” (De Standaard); “a real discovery” (’tPallieterke), etc., etc. Yet when I submitted this work for a second time – it had already been rejected as ‘unsuitable for broadcasting’ in 1978, at the time of its London première – Mr Ponsonby wrote to me: “Success overseas does not seem to me an automatic entitlement to performance here." This kind of ‘holier than thou’ attitude – considered by most composers to be a typical example of the BBC Music Division’s arrogance – is what the majority of our composers have had to live with for the whole of their professional lives. The BBC Music Division professes to have the interests of the music-lover at heart, despite the fact that music-lovers have never been consulted as to what they would like to hear. I publicly challenge Mr Ponsonby to show that the BBC Music Division is prepared – for the very first time in its life – to consider the music-lover, and to stop being so concerned about what ‘musical intellectuals’ in this country and abroad think about what the BBC does. Let him broadcast my opera, which has already brought much pleasure to about 2,500 people. And let this be just the very first of very many broadcasts of works by living British composers that have proved their worth abroad, either in professional performance and/or in broadcasts, but which the BBC Music Division has implacably rejected over the past 20 years as ‘unsuitable for broadcasting’ (i.e. not the sort of extreme avant-garde music which the BBC wishes to promote). Heaven knows, there is a tremendous backlog of attractive and interesting music available, written during the ‘Black Years’ of the Glock–Keller regime, but never heard by most music-lovers because never broadcast. 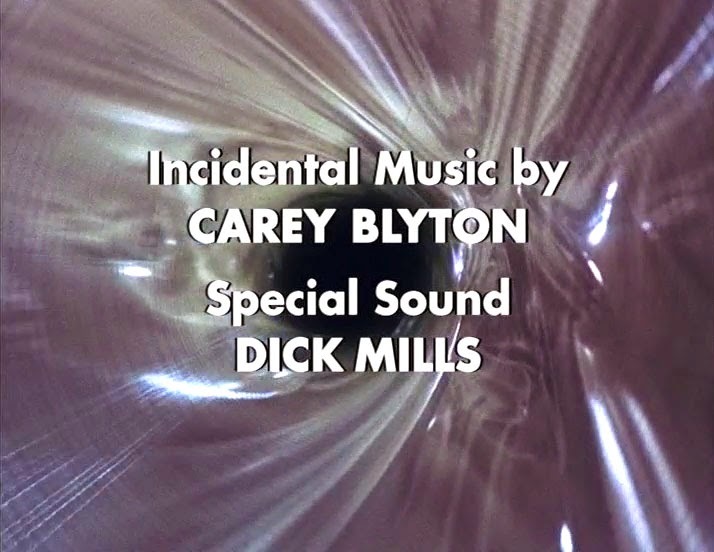 His scores for Doctor Who go some way towards redressing the balance- Doctor Who & The Silurians alone features contributions by ''two clarinet players, horn, cello, prepared and unprepared piano and percussion''. But have you ever wondered about what makes those odd buzzing noises at certain points in the music? The answer is the crumhorn, a Renaissance woodwind instrument! Here its used mostly in themes for the Silurians. Death To The Daleks saw him turning his hand to choral arrangement, using Latin to inform the ritual chants of the Exxilons- though how they learnt Latin is never explained! Ex surge quare obdormis shuba? Patres nostri annunti averunt nobis. After the relative failure ( by his own standards) of Revenge Of The Cybermen- he outlined his frustrations in a letter to Philip Hinchcliffe (here) following its broadcast. And moved on to other projects.